Here are 5 lessons on Virtual Reality in eLearning that you need to know. Over the last few years we have been creating Virtual Reality in eLearning. This work has yielded some valuable lessons that I’d like to share in the hope that it will make you an eLearning hero rather than the herder of white elephants. Firstly I’d like to say that given the right learning scenario and receptive learner, VR eLearning is shockingly effective. This platform for presenting information will fill a gap in the learning spectrum for users who would benefit more from experiencing situations and surroundings. 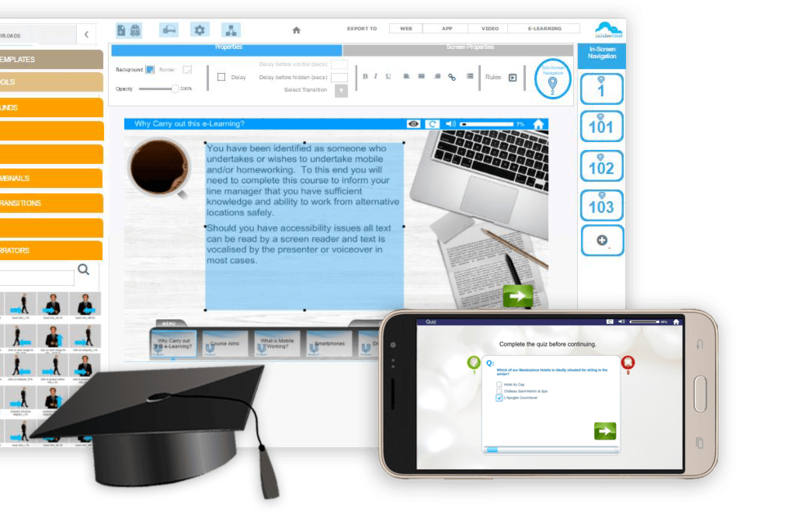 Kinaesthetic learning scenarios, where the learning is concerned with physically carrying out a task, can be replicated and practiced ideally in Virtual Reality. Furthermore, scenarios where the surrounding environment is a crucial part of the learning experience are ideally suited for VR. For instance, VR can give new hires experience of an international company’s locations without the need to fly all over the world or map fire escape routes as part of fire safety training. 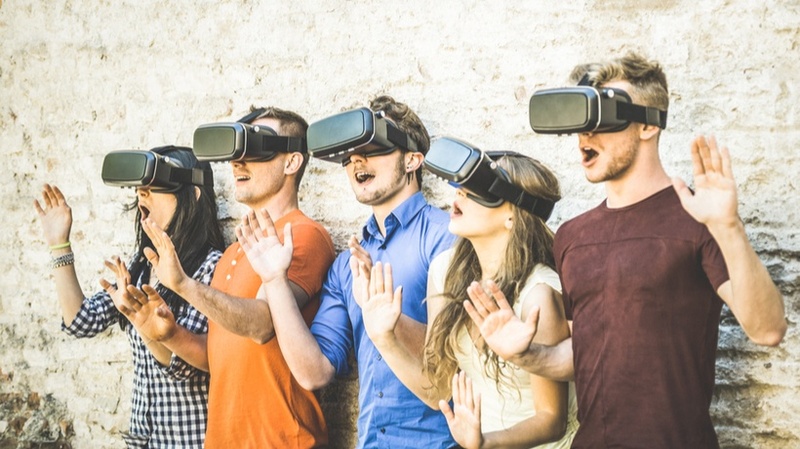 The Virtual Reality experience itself is something that no user should forget, the uniqueness and salience of the experience will stand out in the mind of the learner and aid recall. This effect will recede as Virtual Reality becomes more mainstream so my advice would be to make your first VR eLearning course soon for maximum effect. Despite some vendors claiming VR to be the panacea for all learning, the truth is that very few learning courses have sufficient kinaesthetic learning needs to suit Virtual Reality. Most learning remains predominantly knowledge-based; people need to learn “what” more than “how” in the world of eLearning. Our experience suggests that only 5% of all learning should go down the Virtual Reality route. The good news is that the Virtual Reality kit can be inexpensive - really inexpensive. A headset can be purchased for £5 from Amazon, attach it to your Smartphone and start learning. The quality of the experience is minimally limited by the equipment - it is essentially just a set of lenses in a mask, just make sure it fits the face and does not let in any ambient light. The main limitations of the experience are caused by bandwidth and Smartphone/VR system. Generally if you are using a Smartphone to run the Virtual Reality, if it has been made in the last three years then it will be adequate. The more recent phones (Google’s Pixel, LG 6 etc.) give even better refresh rates and visual acuity which makes using the phone a more “real-life” experience and will increase the length of time they can be used in one session. Generally newer phones can be used comfortably for up to 45 minutes, training for older phones should last for no longer than 25 minutes. Specialist VR systems such as Oculus Prime and Playstation are considerably more expensive but will give a better overall experience - at the moment we would not advise going down this route since it greatly restricts the rollout of the system with relatively little gain. Although the headsets are cheap and Smartphones are commonplace, not every audience will have the right equipment - even if headsets are distributed. Take this into consideration during any rollout, that you may need an alternative distribution platform for the learning. Any readers unfamiliar with the UK’s obsession with Marmite should know that Marmite is a spread made out of yeast extract (yes, I don’t know what that is either) that you apply to toast. The taste experience is greatly loved or hated in equal measure; there is no middle ground. Virtual Reality is the same. 90% of users will love the VR experience, it is met with a childlike sense of awe. There is no learning curve, users immediately know how to get around the environment and learn from the experience. 10% of users will absolutely hate the experience, they will tear off the goggles within 10 seconds of putting them. Such users find the experience disconcerting and no matter how much encouragement you can give, they will refuse to even look at the training again. If your training needs to train all the target population - you must not put all your eggs in the Virtual Reality basket. Not every learning scenario suits Virtual Reality. It will be difficult to ensure a suitable Smartphone/VR headset is available for all. 10% of your population will refuse to use Virtual Reality. The best solution is to make sure your VR project can export into other formats. One solution is to use Jackdaw Cloud to export the same VR project at the touch of a button to run on a PC or App without needing VR glasses. It creates great looking Virtual Reality, but comes with a built in backup plan. So good luck with your first VR project; when done well, it is a great learning medium that will turn you into an eLearning hero. Just don’t forget those who cannot or will not use Virtual Reality, don’t say I have not warned you!